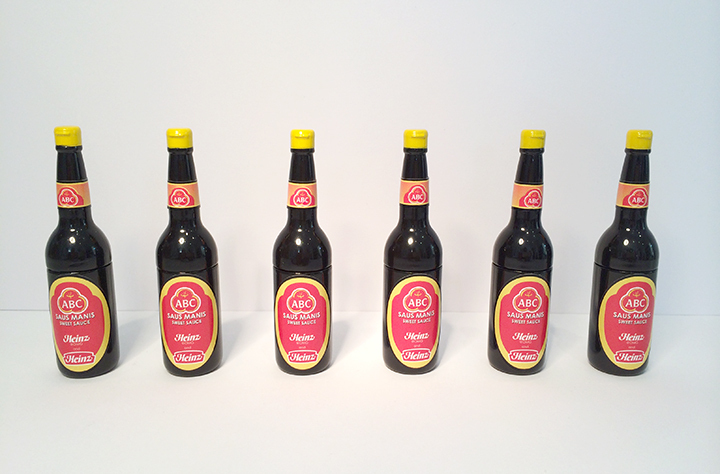 The team at chalk were approached by OMD international to provide a solution for delivering digital media in the form of a client gift when pitching for new business. We decided that one of the most engaging ways of exciting a potential client is to offer them something that they can connect with, is bespoke, novelty, but with an element of usefulness. We designed an approach for producing, custom built, branded USB drives. The project was initially rolled out for OMD’s global pitch to win Heinz’s worldwide online advertising budgets, a budget totalling £150m across 6 different markets. 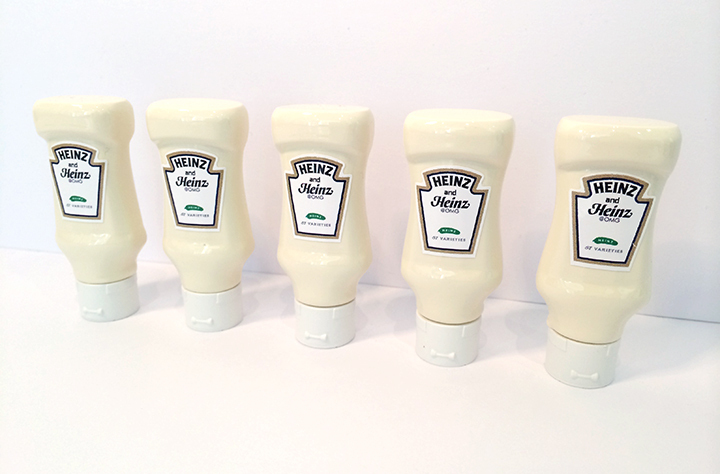 We designed, 3D scanned and 3D printed custom miniature ketchup, mayonnaise and soy sauce bottles to cater to the US and European, Australian, Russian, South American and Asian markets. The USB drives were handed over to the Heinz representatives at the end of the pitches as client gifts contain all the data from the pitch. 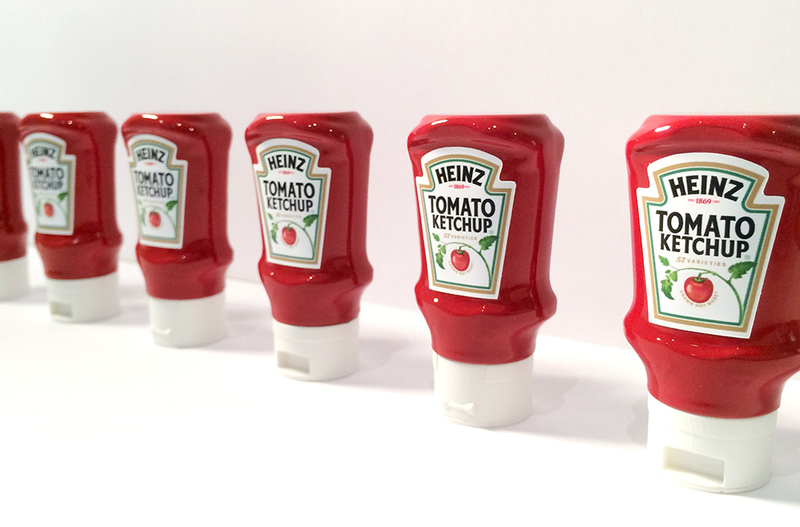 OMD won Heinz’s global advertising budgets and each market individually complimented the USB’s as a special touch which really showed off OMD’s creative abilities. 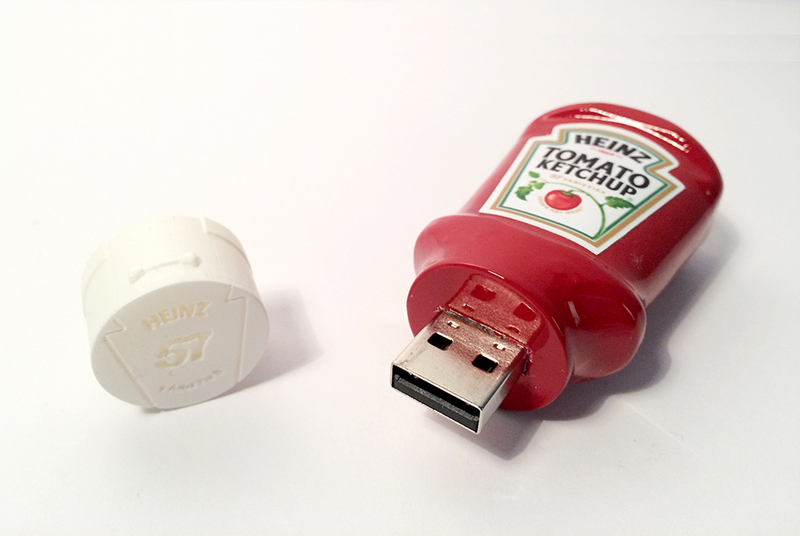 Since Heinz, we have developed numerous alternative USB drives for a variety of OMD’s prospective clients, each one in turn helping to win new business.